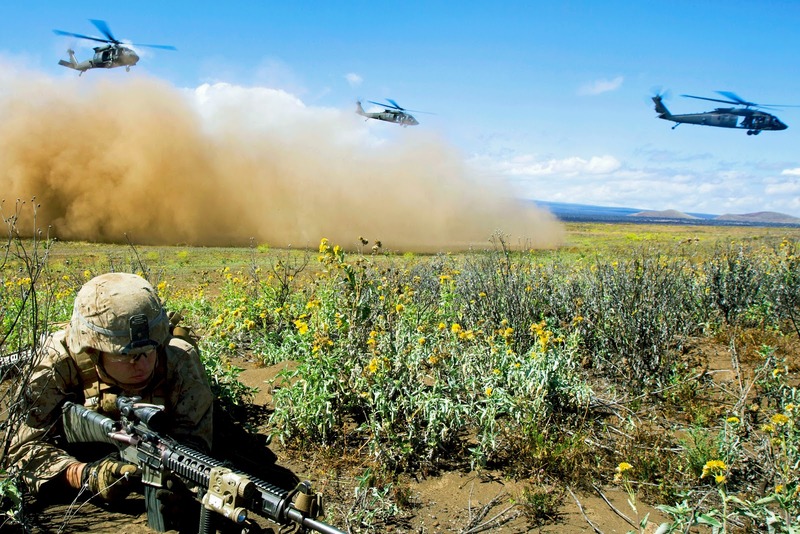 A Marine provides security for UH-60 Black Hawk helicopters taking off after inserting Marines for an enemy village assault exercise during Operation Lava Viper on Pohakuloa training area, Hawaii, June 10, 2015. 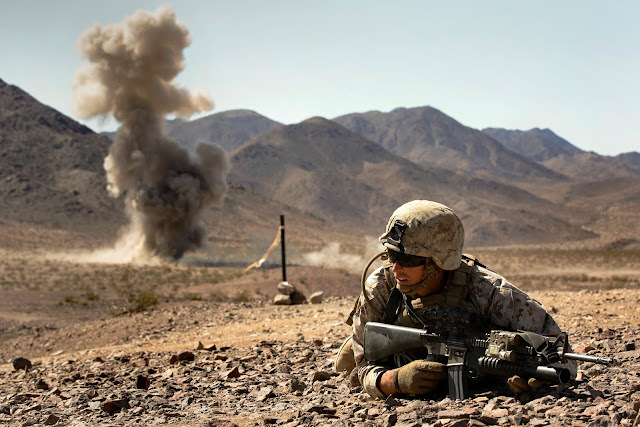 The Marines are assigned to Charlie Company, 1st Battalion, 3rd Marine Regiment. 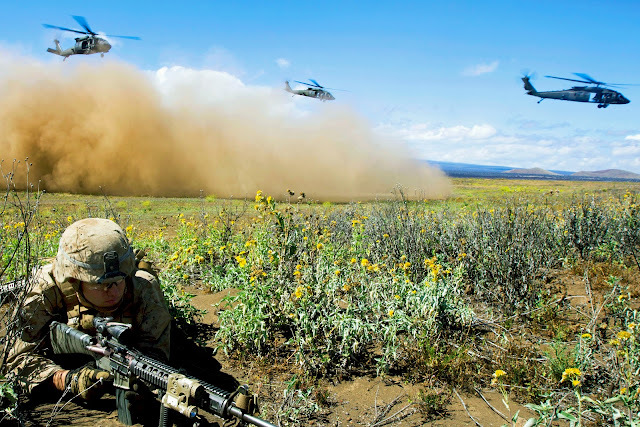 U.S. Marine Corps photo by Cpl. Ricky S. Gomez. Marine Cpl. Colton Derick lays down for cover during a simulated enemy explosion during an integrated training exercise on Marine Corps Air Ground Combat Center Twentynine Palms, Calif., June 13, 2015. Derick is a rifleman assigned to the 4th Marine Division's Bravo Company, 1st Battalion, 23rd Marine Regiment, Marine Forces Reserve. U.S. Marine photo by Cpl. Ian Ferro.